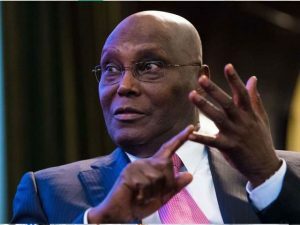 The presidential candidate of the Peoples Democratic Party, Atiku Abubakar, said on Sunday that security agents at the international airport in Abuja harassed him shortly after arriving in the country from a foreign trip. Mr Abubakar has been away in Dubai, the United Arab Emirates capital, since mid-October when he proceeded on a vacation days after emerging victorious at the national convention of the PDP, Nigeria’s main opposition party. Mr Abubakar did not immediately say which security agencies were responsible for the search he found objectionable, but immigration officials, State Security Service and the police are usually found at the airport for such searches. He also did not say whether or not the security personnel raised any issues during or after conducting their search. The former vice president has held ‘strategic meetings’ in Dubai as part of his preparation for the campaign season, which is expected to open in a few weeks. 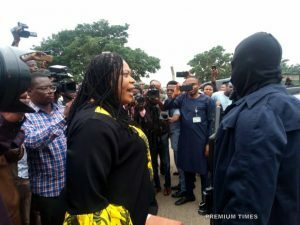 The meetings, reportedly involving officials such as Senate President Bukola Saraki and the party’s national chairman Uche Secondus, have elicited concerns from the ruling All Progressives Congress. The party said Mr Abubakar’s political meetings outside Nigerian shores had sinister undertone, calling on security agencies to investigate. The PDP reportedly rejected the APC’s characterisation of its candidate’s meetings abroad, saying the ruling party was becoming increasingly nervous amidst indications it may lose at the general elections next February. Bola Tinubu, an APC leader, however, said Mr Abubakar has a right to hold political talks anywhere he desired, but dismissed claims the ruling party was afraid of defeat in 2019.